A total of 26 riders braved the bright and breezy conditions this morning for Round 2 of our club time trial league. The handicap system worked very well with only a few minutes separating the bulk of the field. It made for exciting racing with some excellent battles out on the course. Aisling Foley was the winner on the day, with Olly O’Neill putting in the fastest gross time. Well done to Aisling, Olly and everyone else who put in a big effort. Thanks to David F and Martin who stepped out of today’s race to perform timekeeping and marshaling duties. 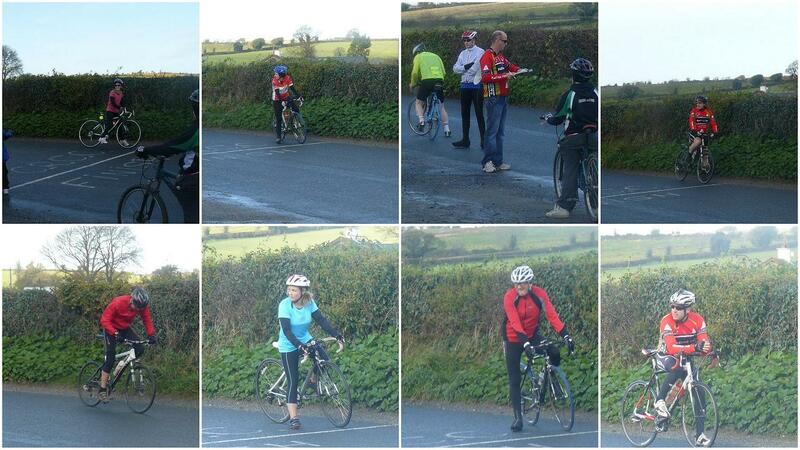 Thanks also to our welcome guests from Clody Cycling Club and elsewhere. Your support is very much appreciated.